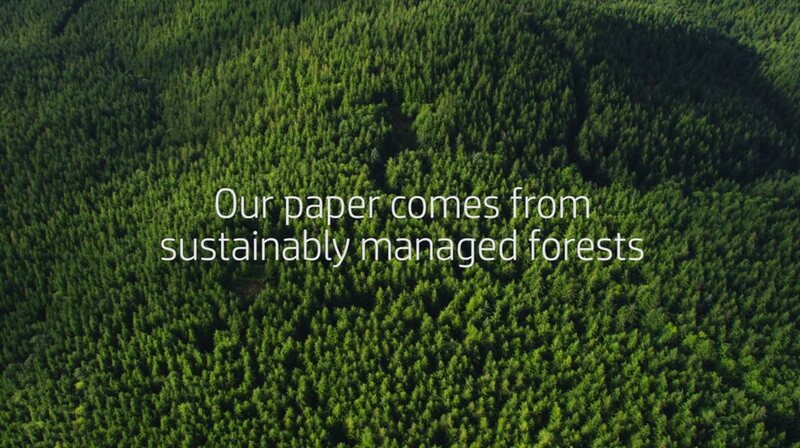 Yields up to 10,500 pages. Anti-fraud technology helps protect against counterfeit cartridges. 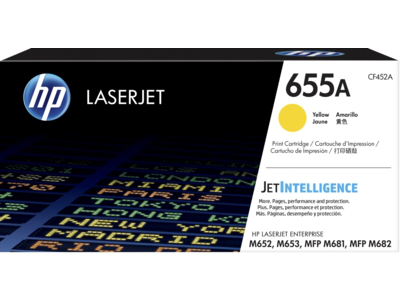 1 HP 656X and 657X High Yield Original LaserJet Toner cartridges are not included in printer purchase; purchase separately. Learn more at http://www.hp.com/go/learnaboutsupplies. 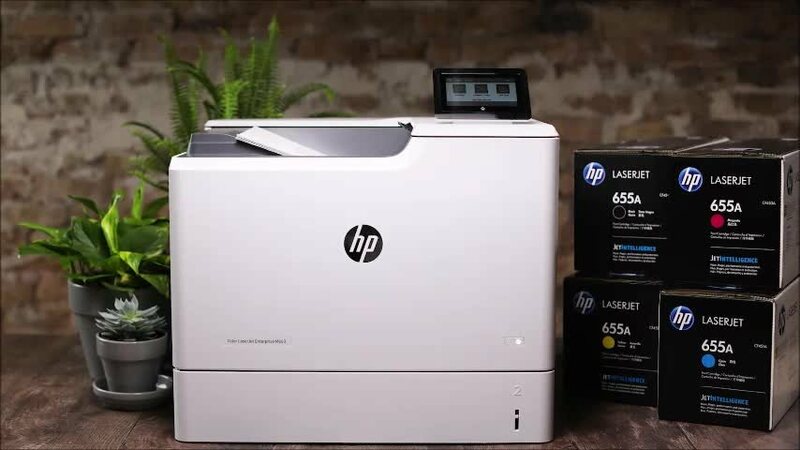 2 Based on ISO/IEC 19798 cartridge yields for HP 655A Original LaserJet Toner cartridges compared with HP 656/657X High Yield Original LaserJet Toner cartridges. Learn more at http://www.hp.com/go/learnaboutsupplies.